In another article I have already written about my pursuit to find and repair a “Creak-Squeak” from the front suspension of my DB9 that was driving me nuts. 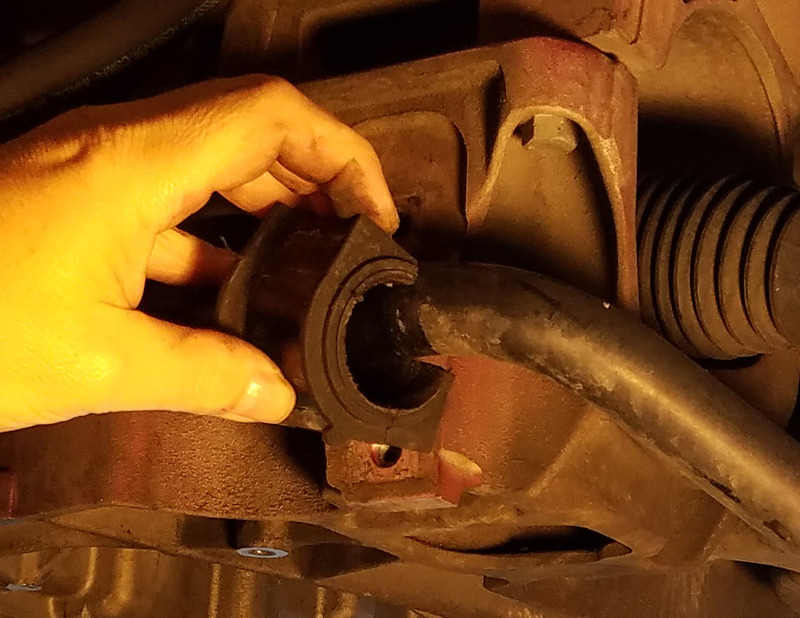 During the investigation of that issue (which ultimately required changing the Front Upper Control Arms), I wanted to be sure the squeak wasn’t coming from my front sway bar (anti-roll bar) bushing. 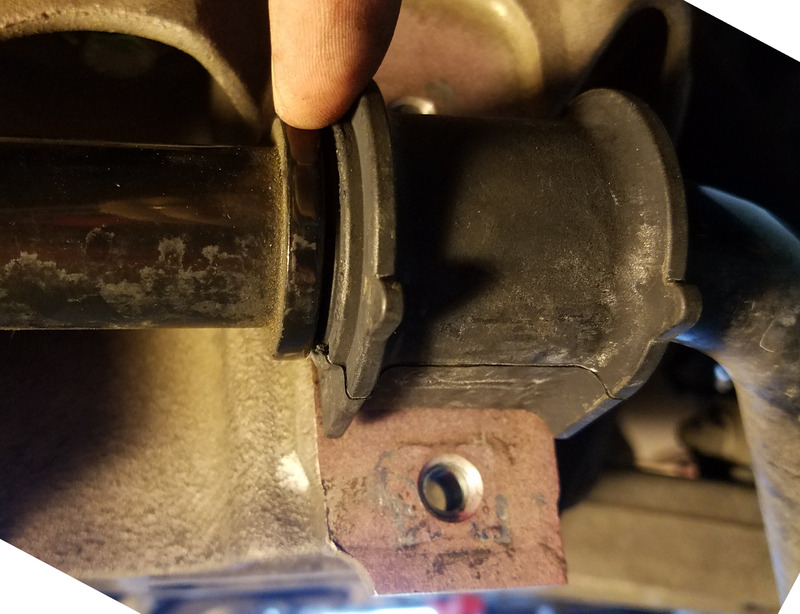 If you’ve inspected your bushings (click here to learn how) and they need changed, this article is for you. The good new is that the process is pretty simple once you have access to them, but take note below of the special tightening procedure. Read on to learn how. This is one of those rare projects that won’t break the bank. 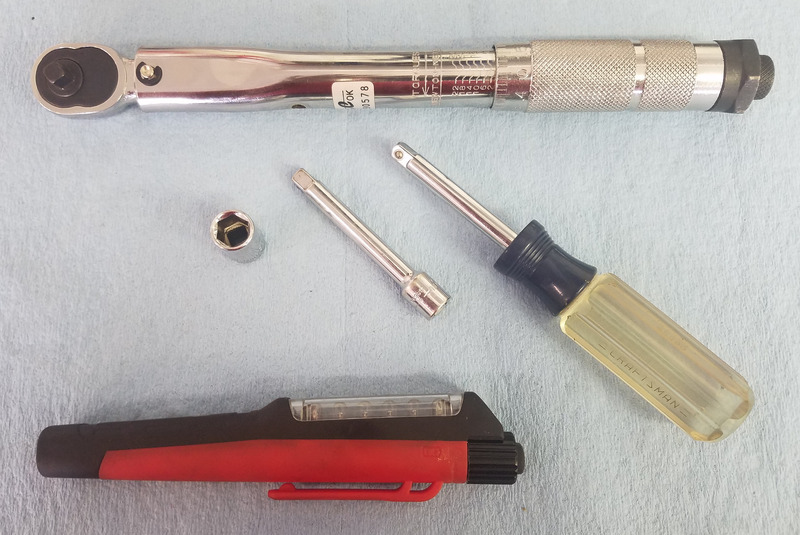 The only parts you’ll need is a new pair of bushings. I spent a considerable amount of time looking for a set of aftermarket polyurethane performance bushings (that you can get for most any other mass produced sports car), but struck out for the DB9. If you know of anyone making one, please leave me a comment down below so I can share with everyone. 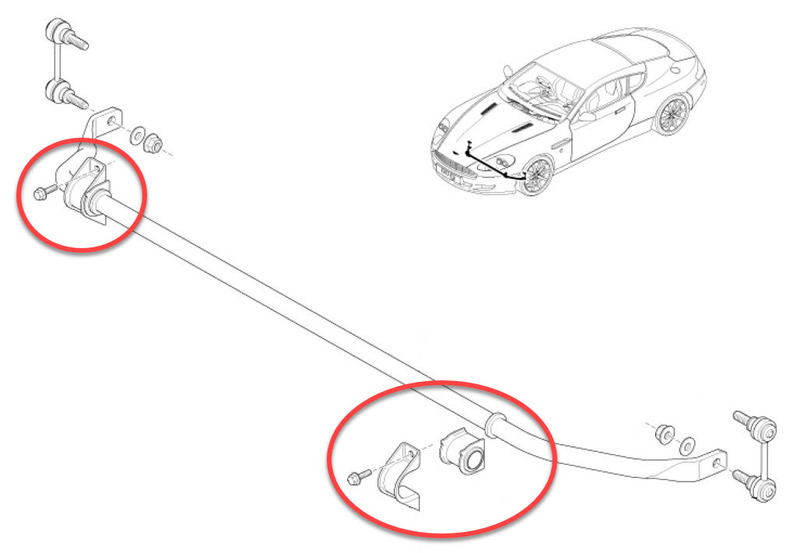 I checked the Official Aston Martin Workshop Manual Section 4.01 on the front suspension to learn how Aston wants it done. It’s not really covered separately, but can be summarized as “Install the Stabilizer mounting and torque the fixings”. Wow. If I could only make myself be that brief. The workshop manual has the old torque values that were updated later in the production (see below for the correct ones). 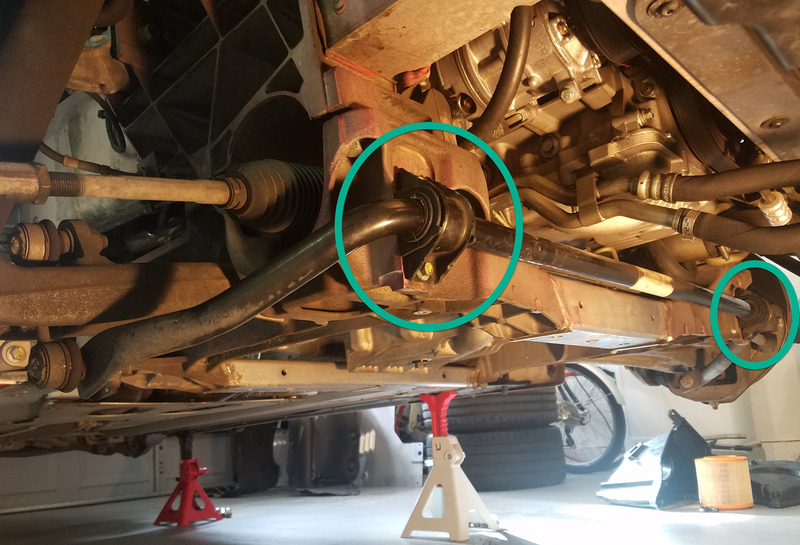 As long as the two wheels are level with each other the sway bar is not under load, so you should be able to work without worrying about something springing out in your face! 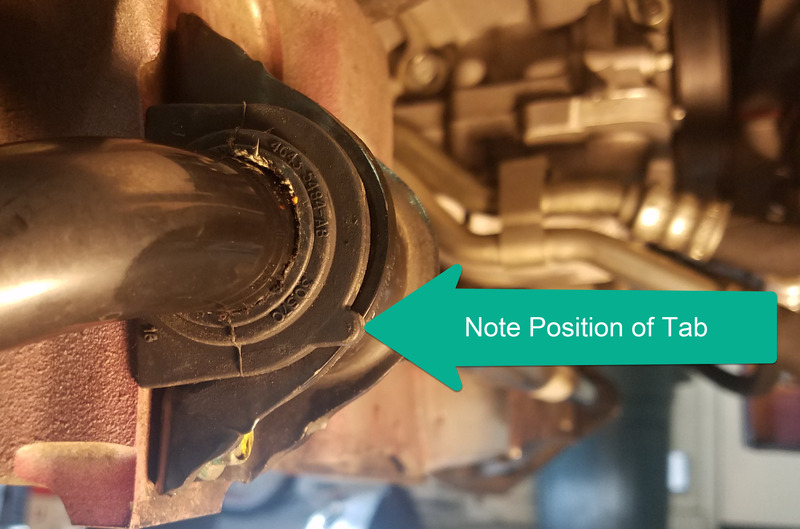 Note the position of the rubber tab on the old bushing There should be one tab, facing forward below the center. 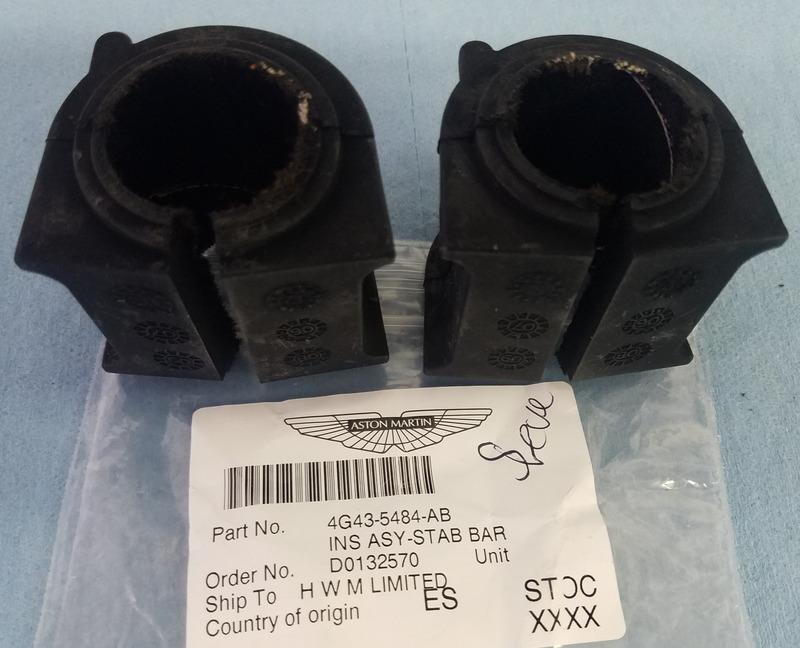 Aston Martin released Field Service Action FSA129 in September 2005 raising the torque spec from 22.5Nm to 24Nm. An FSA is Aston’s equivalent to a Recall Notice, there must have been some issue in the factory. The notice goes on to explain this torque procedure. You can read the FSA here. Torque one of the two bolts to 24 Nm (18 ft-lbs). Torque the other bolt to 24 Nm. 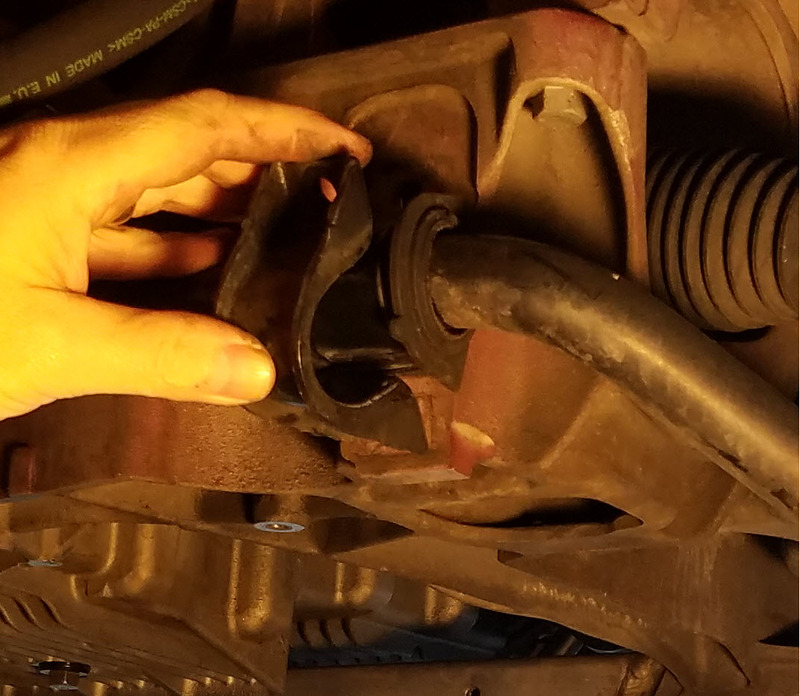 If you are going to tackle the rear sway bar bushings too, please check out my other article and video on this showing you how.